Far Hills, NJ (August 13, 2018) – Calling the ruling a perfect example of FERC’s fundamentally flawed practices, New Jersey conservation groups today said they will appeal the Federal Energy Regulatory Commission’s (FERC) recent decision to deny multiple requests for rehearing and motions for stay of the controversial PennEast pipeline project. Attorneys at Eastern Environmental Law Center (EELC) and Columbia Environmental Law Clinic, who together represent New Jersey Conservation Foundation (NJ Conservation) and The Watershed Institute, will appeal the FERC ruling that came late Friday in a split 3-2 vote before Commissioner Robert Powelson stepped down, which left the commission potentially divided 2-2 on some critical climate change issues. 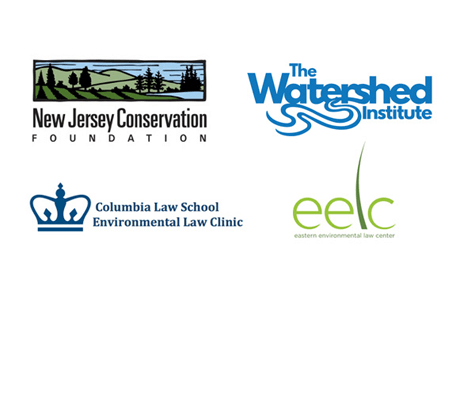 Numerous conservation groups, affected landowners, counties, towns, the New Jersey Division of Rate Counsel, and the New Jersey Department of Environmental Protection (NJDEP) had sought rehearing on multiple grounds, including that the pipeline is not needed to deliver gas to the region and would not reduce gas prices, ensure reliability, or provide “flexibility,” nor is the project warranted for any other vague reason claimed by PennEast. PennEast is still awaiting the court’s decision as to whether it can use eminent domain to seize nearly 150 properties in Hunterdon and Mercer counties, and an additional 50 in Pennsylvania. The federal district court judge has the power to protect those landowners from PennEast’s bid to use its conditional approval to permanently seize lands. Far from benefiting the public, the Rate Counsel found that PennEast would cause public harm. Expert analysis from independent energy firm Skipping Stone also conclusively demonstrates that PennEast is not needed for reliability during cold weather — not even on the coldest day of the year — and that New Jersey’s existing 1,500-mile pipeline network is more than sufficient to meet demand. FERC Commissioner Richard Glick was scathing in his dissent on Friday’s decision, saying, “Today’s order simply is not the product of reasoned decision-making.” Glick reiterated that need for PennEast was not established, noting, “It does not take much imagination to understand why an affiliate shipper might be interested in contracting with a related pipeline developer for capacity that may not be needed, such as the parent company’s prospect of earning a 14 percent return on equity.” Glick concluded, “I agree with the protesting parties,” referencing NJ Conservation and the Watershed’s arguments. FERC’s rehearing response reiterated that its certificate for PennEast is conditional, and confirmed the conservation groups’ position that no tree clearing can happen unless and until PennEast has obtained all permits. PennEast is still facing review by the NJDEP and the Delaware River Basin Commission.